A few months ago, one of our client was approached by BrandRep claiming that they list his site on the first page of Google. The client called us to confirm and was informed that “Even Google does not guarantee that”. Nonetheless, he still went ahead with the transaction because they offered him a discount. why does BrandRep need ownership access? BrandRep needs ownership access to the business’s Google Plus page in order to ensure that we can provide our services. As owners, we can do the marketing work that we have promised. This is not only for protection over what we do, but also protection of your 90 day guarantee. If you provide us with the login information, when you cancel, we will transfer the ownership of the page back to you, upon your request. If you did not provide us with the login information, when you cancel, we will release the page into Google for you to claim, upon your request. When asked for more information, we never got any reply. We think they like to speak to business owners to avoid the technical questions. Unfortunately, it is just an image and does not provide more details. 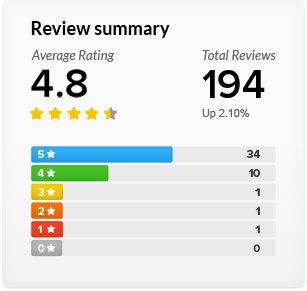 BBB.org shows the customer review rating as 23% (14 Positive & 48 Negative reviews). 2. The price for Local SEO annual package is $4266 but my client was offered the same package for $1000.